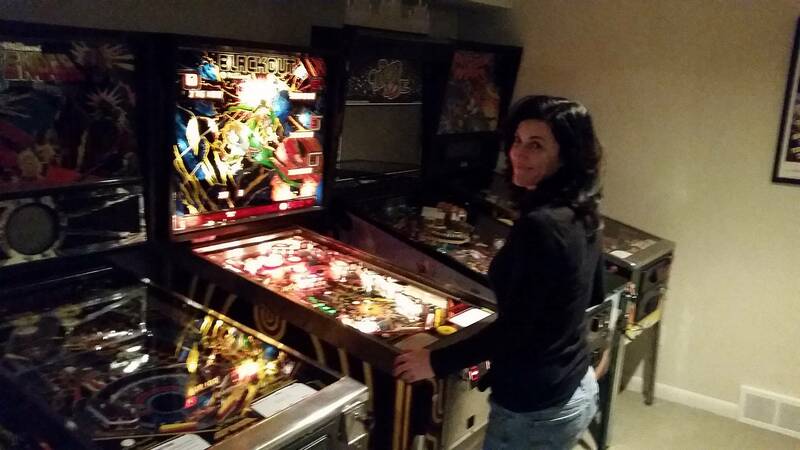 » Forum » All Pinball » Does your girl play too? » Does your girl play too? 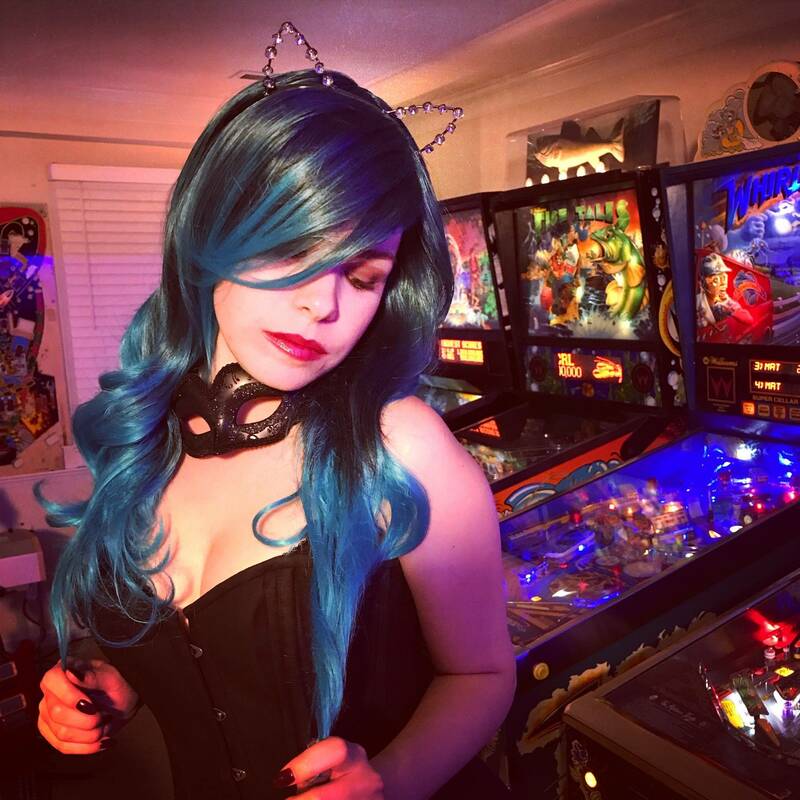 Does your girl play too? There are 476 posts in this topic. You are on page 9 of 10. 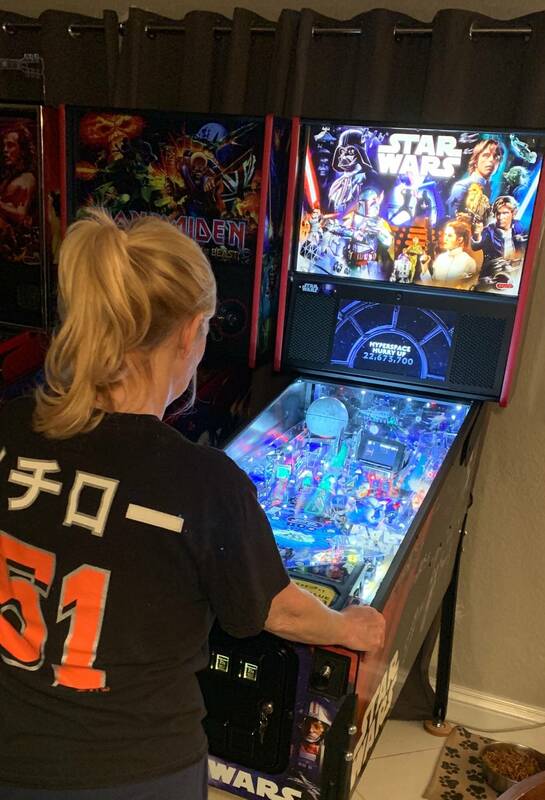 I guess i'm technically my own girl, and i certainly do play... i even technically own a pinball machine now, although i'm not actually in the same timezone as it. I find that while i can occasionally interest male friends in playing, they usually get bored before long. One date i often would ask to drive me to competitions, would introduce himself as "cannon fodder" to the other players on the assumption that he would be losing to them all. 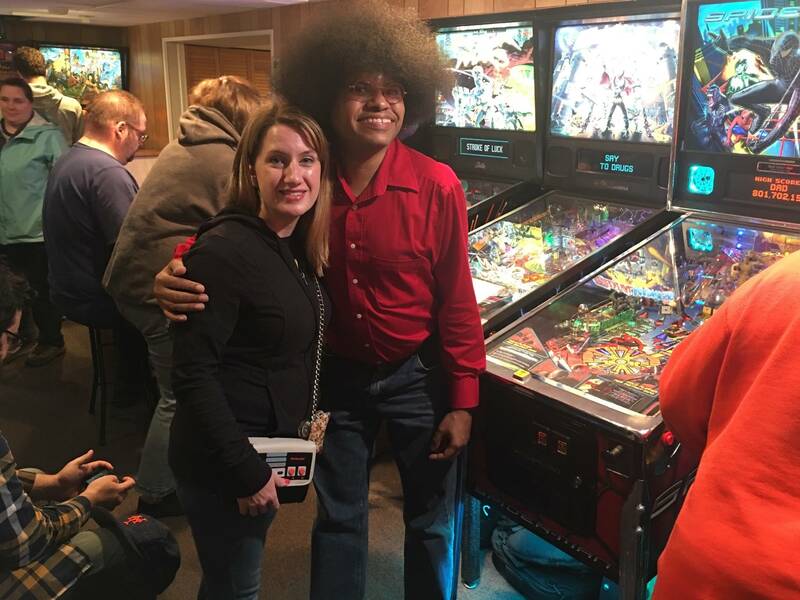 He always goes straight to the driving games (ignoring the pinball) when visiting friendly gamerooms, even though we might have just gotten out of the car! 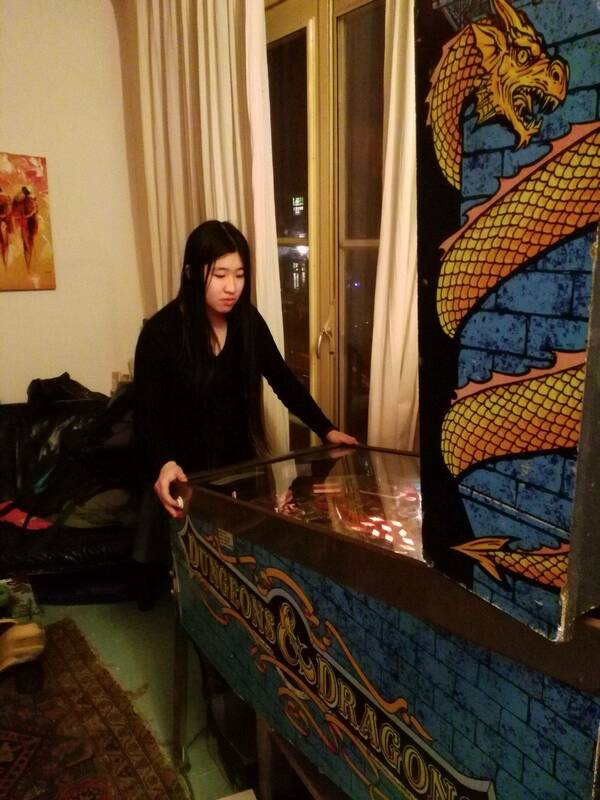 An old college buddy of mine only ever would play AFM. And he's got the GC on the local back in my hometown. He's been trying to rule the world on the new one they got there when the remakes came out, but so far no luck. 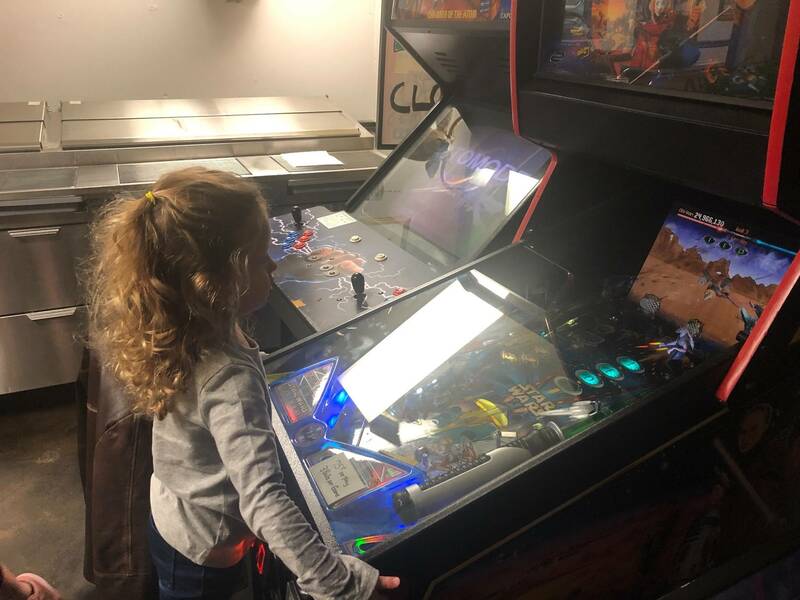 Got him to join me on one of the other machines they have there when i was in town last, and he went right back to AFM after one game of Star Wars with me. 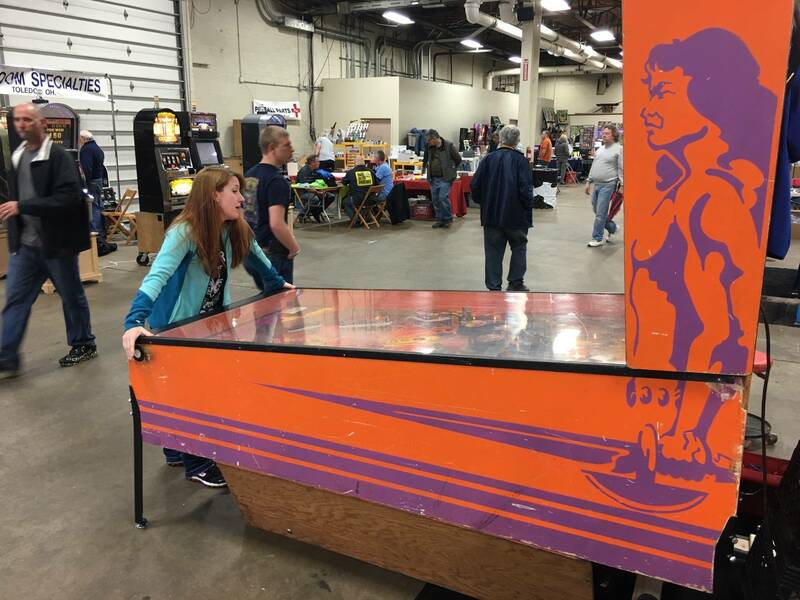 Another old friend from those years will only play Monster Bash (i suspect he'll like CFTBL too, tho, as he has a thing for Universal Monsters, but he'd never heard of it when i asked him and there isn't one in Ann Arbor that i know of, except at VFW...). 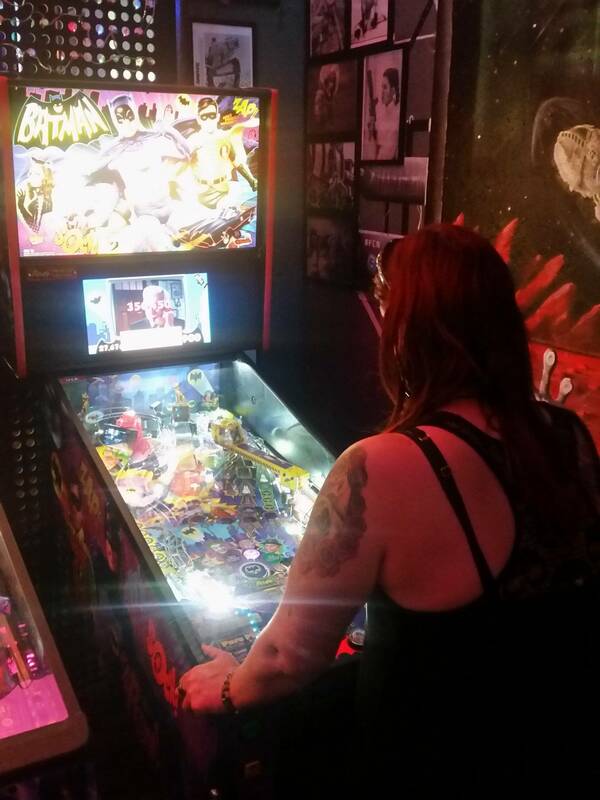 I have cancelled or ended dates early because i decided i would rather just go play pinball too... One of my most recent attempts to date (met online) ended early when i realized i was not listening to him AT ALL, too distracted thinking about how as soon as the date was over i was gonna go check out the new GOTG a few blocks away that i had just seen announced online earlier that day. 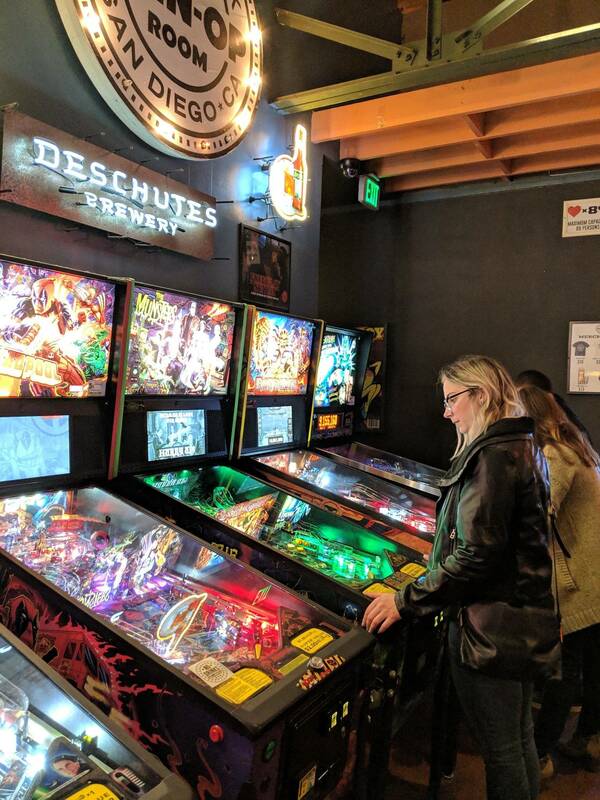 Come to think of it, my next date (with another boring young man who doesn't play pinball) abruptly ended when i realized that we were right next door to a venue i had not played at yet in town, and i wanted to go check it out more than continue the date past the coffee stage. 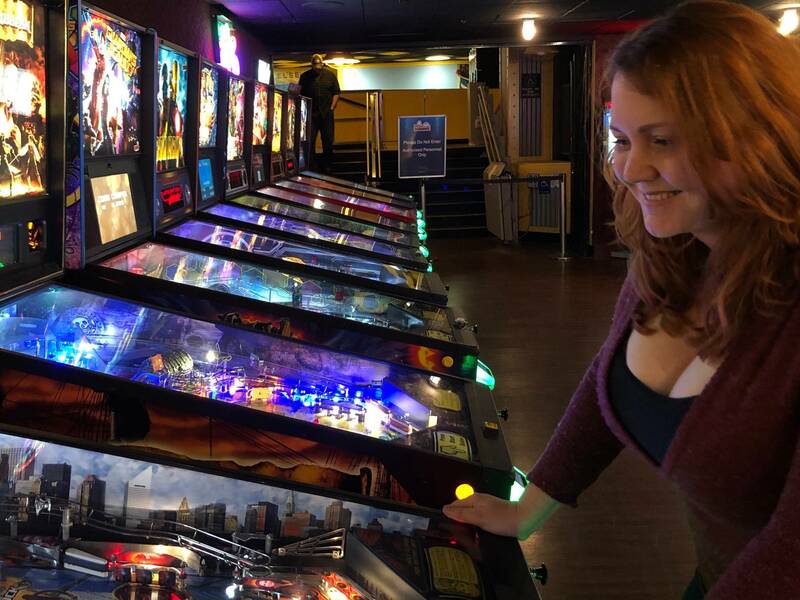 On a vaguely related note, i find playing pinball in bars is a good way to filter out the creeps when you're out on your own. 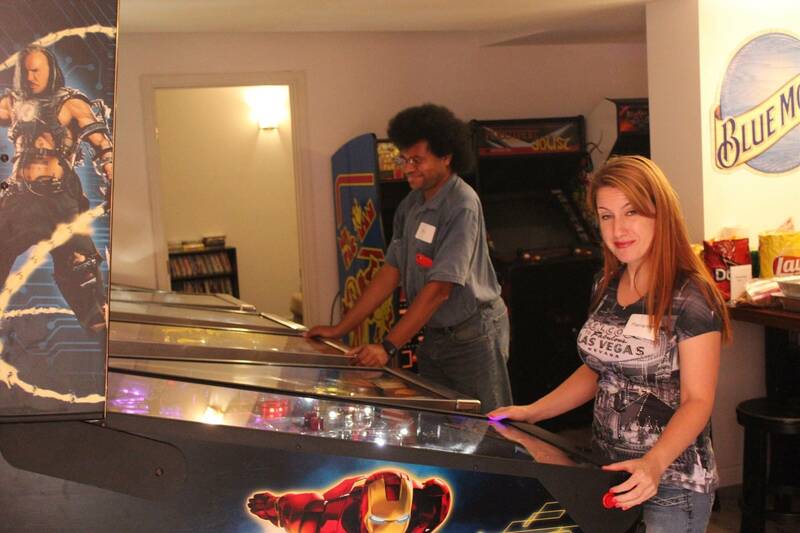 Like, seriously dude, you think interrupting my multiball to mainsplain is gonna get you my phone number?? But the ones that stand back until you've drained on your own to strike up the conversation might be worth giving a chance. 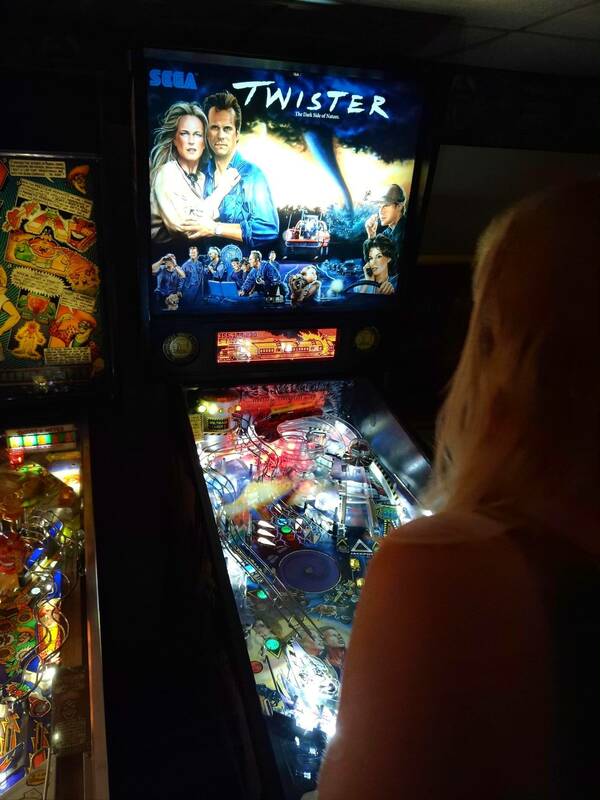 It's always better to have some activity to keep you occupied when you're a single woman alone in a bar. Enjoying a drink by yourself makes you such a target for all the lonely crazies who think you're just waiting for them to come along and bother you. You can't be real. Your just to perfect (and 3000 miles away). Oh well. 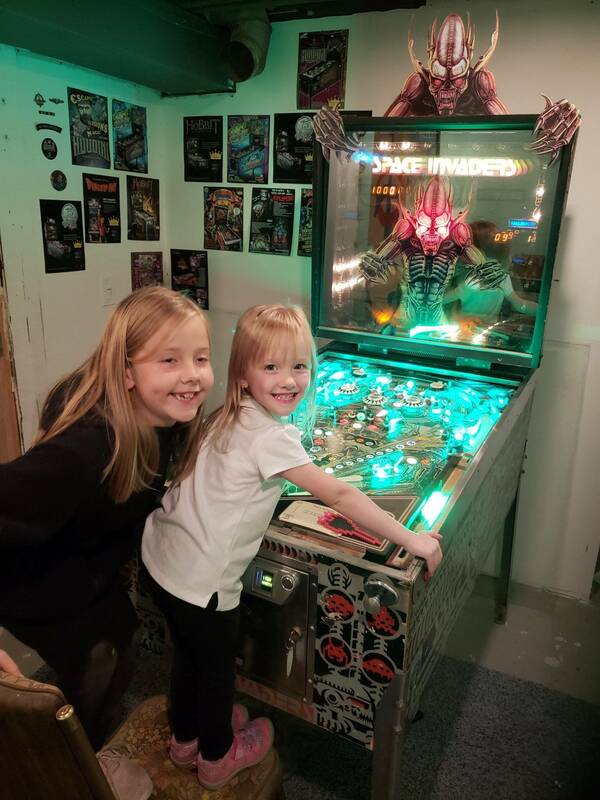 Your going to make some pinball addict a happy man some day. ACDC was her gift to herself for her birthday last year. 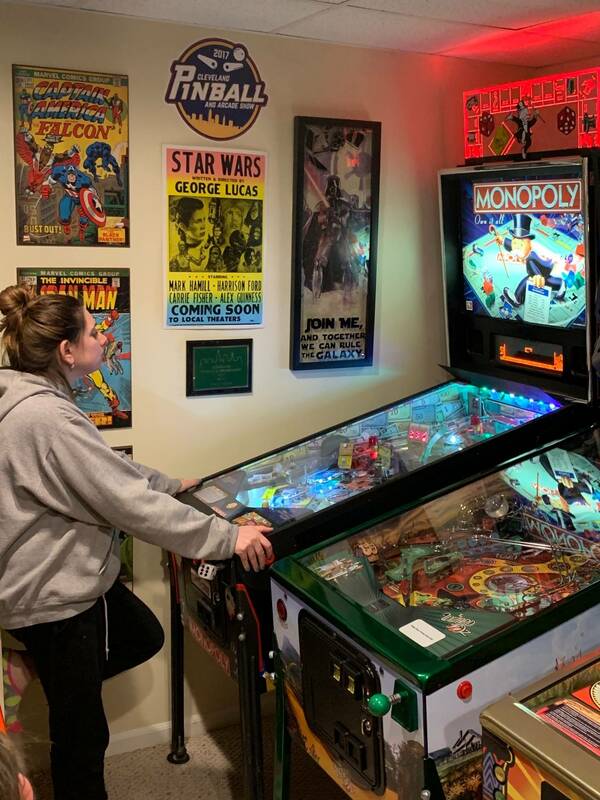 She plays on and off and doesn't read any of the rules but I'm still trying to beat her GCS. 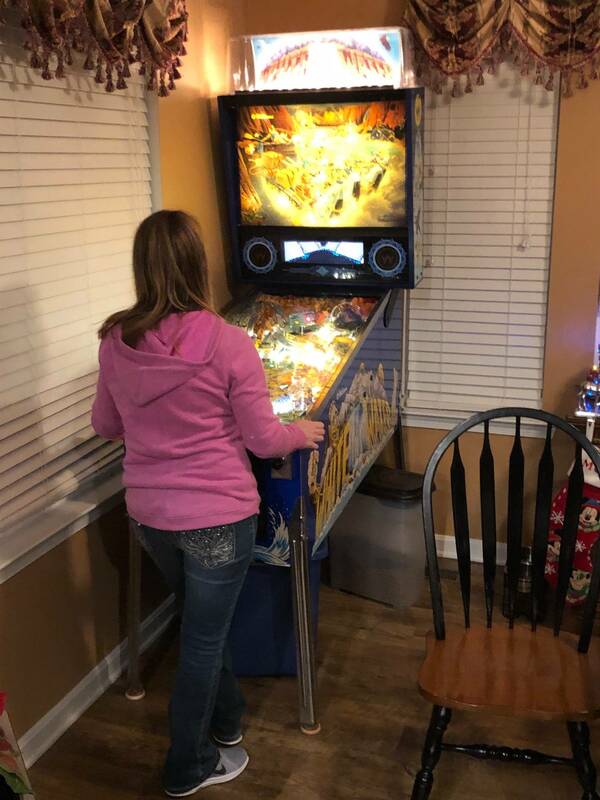 My wife would play when I invited her. 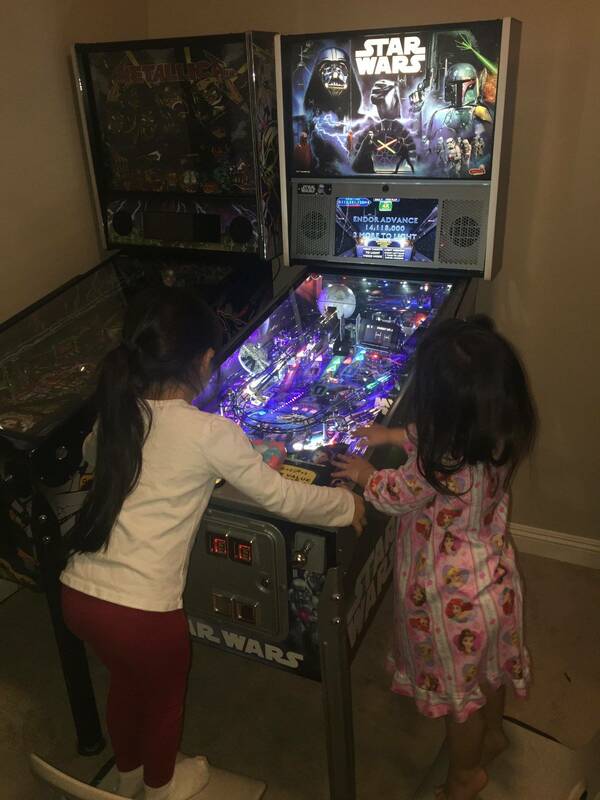 I picked up a WOZ and she has been playing on her own a bit. By 'girl' I thought you meant daughter. 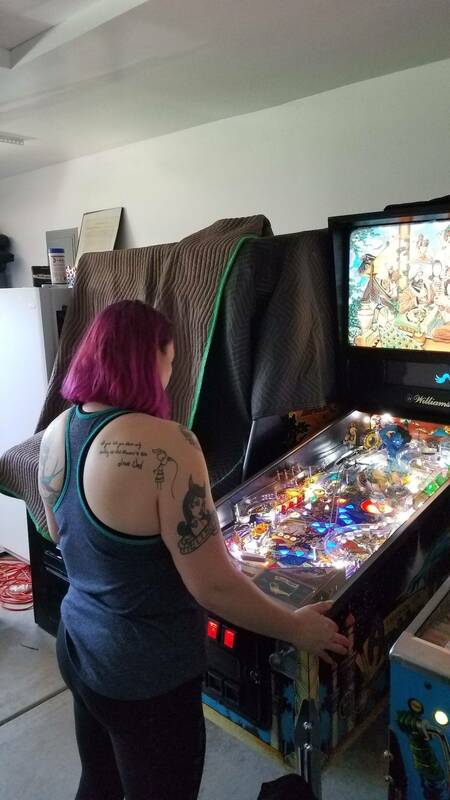 My wife doesn't care to play at all. My daughter Sarah, on the other hand, is the #4 woman in the world and #339 overall by IFPA points. She usually beats me on a regular basis. Picking up The Shadow tomorrow! Pumped! I'm in love. Look at that smile <3. 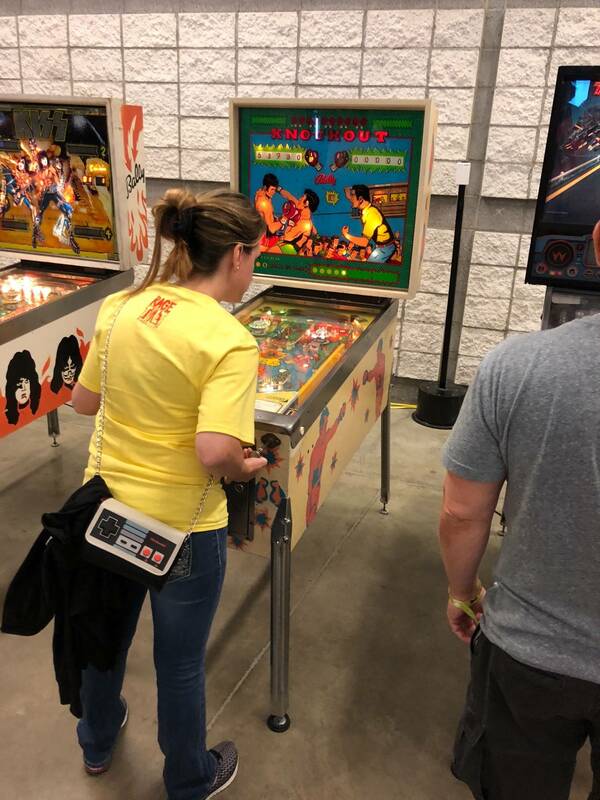 Any game she wants, I am bringing home from now on. 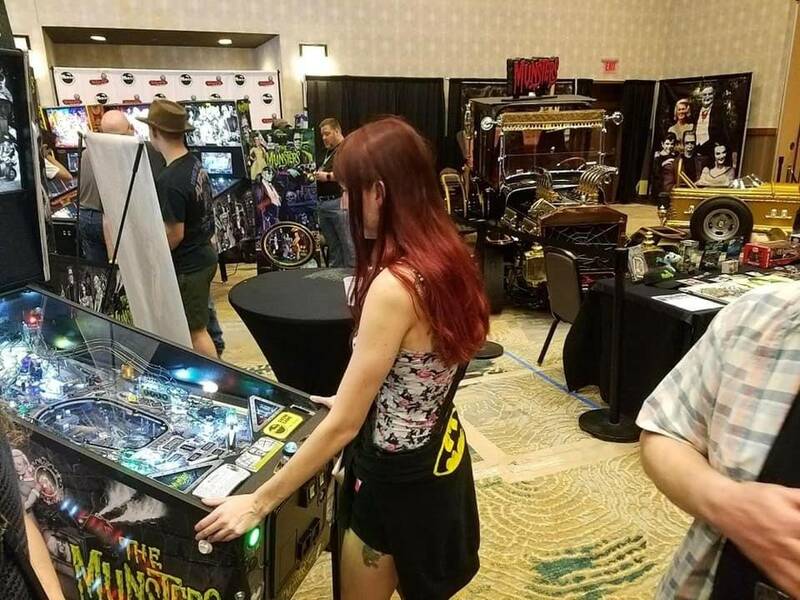 Her score is the bigger one. Absolutely smoked me. I was like "holy cow....!!" 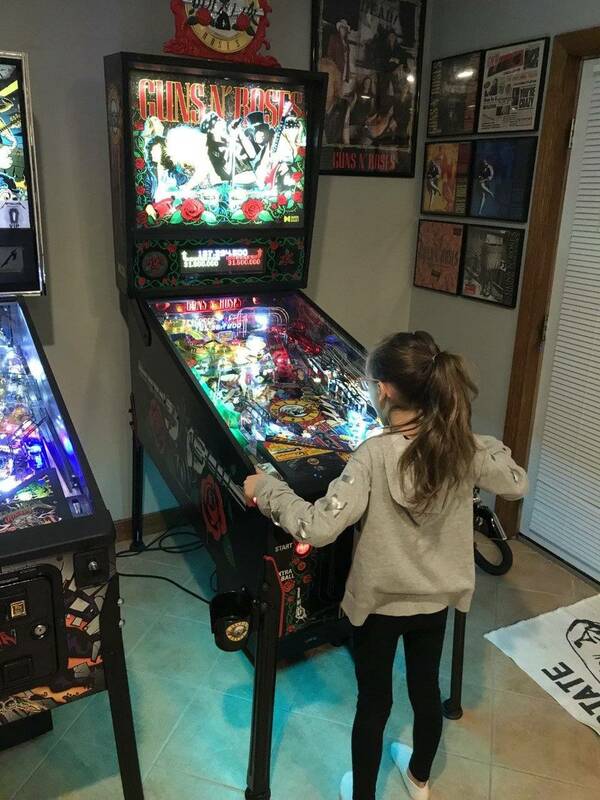 Now she wants to find room for two more games....what have I created????? I love it, and I love her. So glad we share this passion together : ). 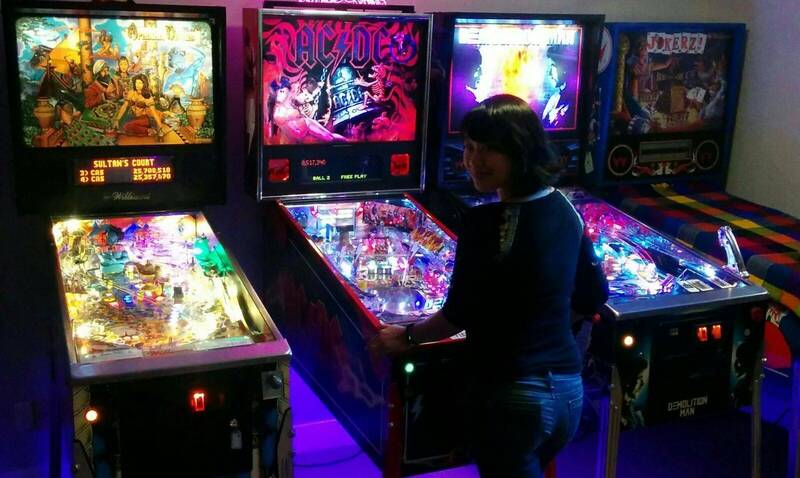 Contrary to whatever preconceived notions may be about women and pinball, I am that girl. Heck yeah! 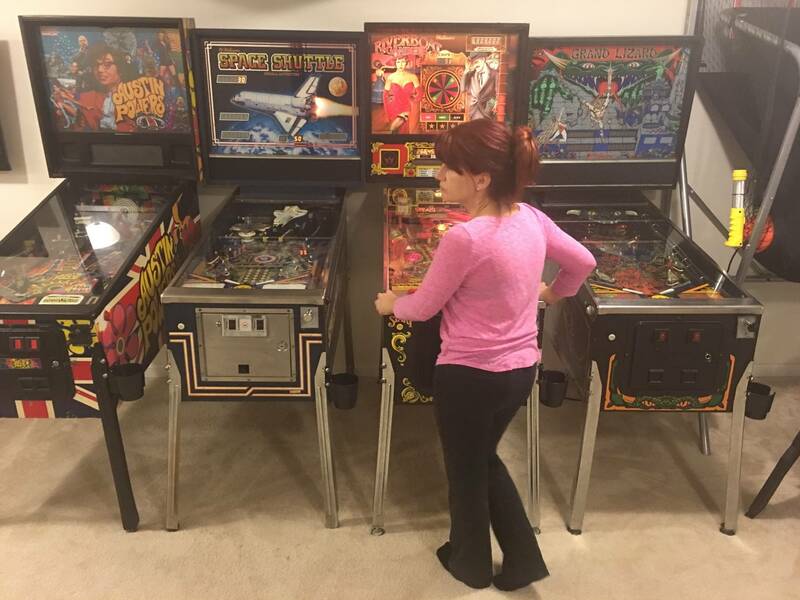 Girls in pinball unite! My wife hates them unfortunately, but probably because it’s all I ever think about since it’s both my primary hobby and career now. But, she’ll happily take photos with them, so they mix slightly better than oil and water. 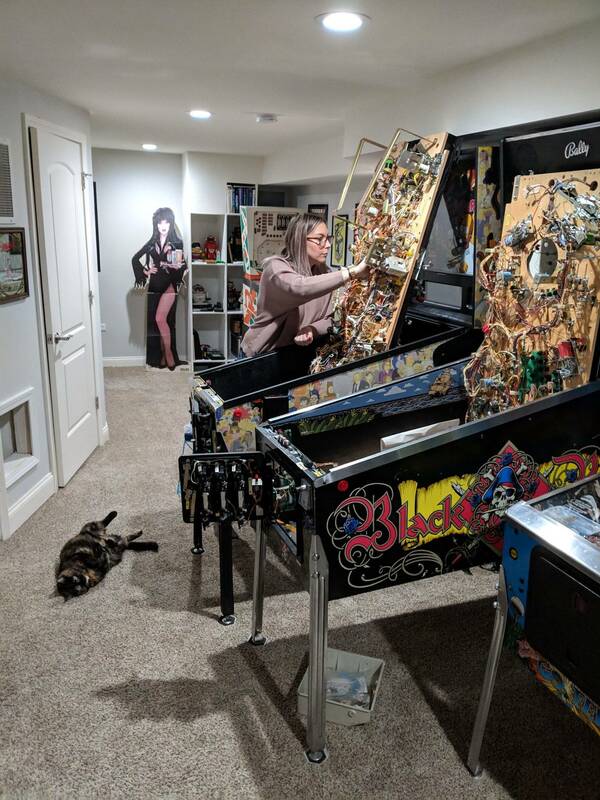 Not only does she play, she fixes them. After complaining that the shooter was sticky, I gave her the parts to rebuild it and she did. Also replaced all the burned out bulbs. Sounds like the perfect excuse to buy another machine. 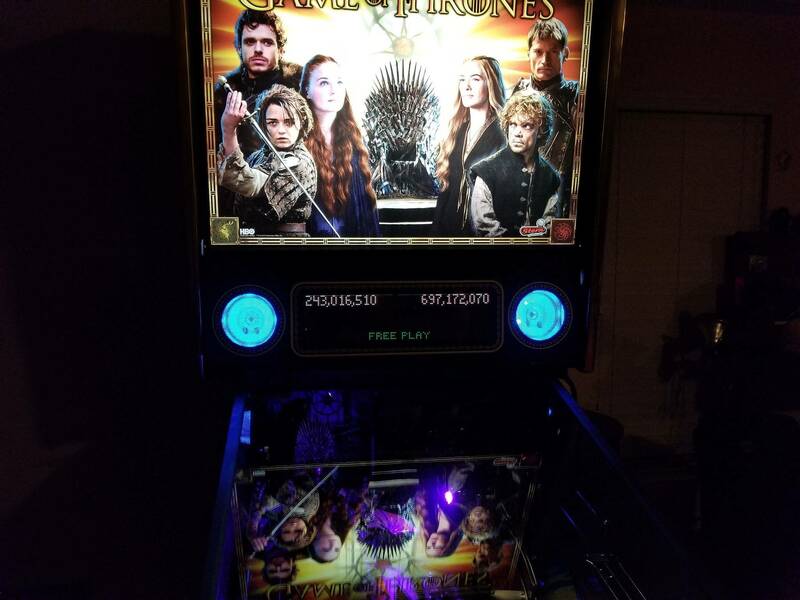 Playfield looks a little bare. 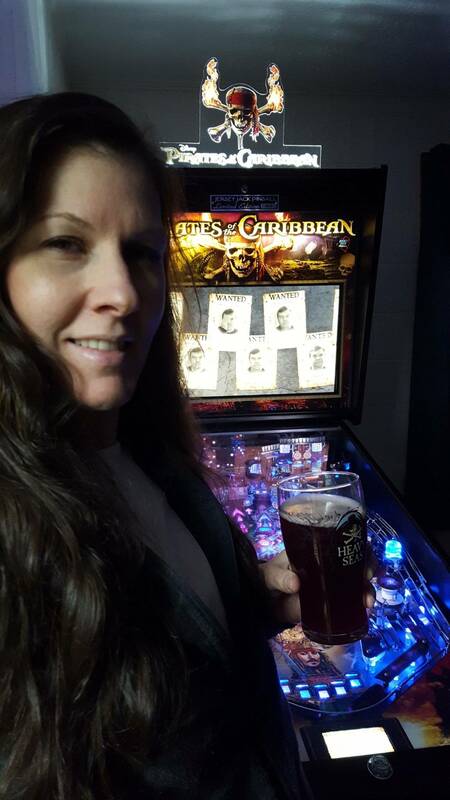 My wife’s favorite machine is Scared Stiff but she had the misfortune to marry a Gottlieb guy. Tsk tsk. Yep , my girl loves it ! 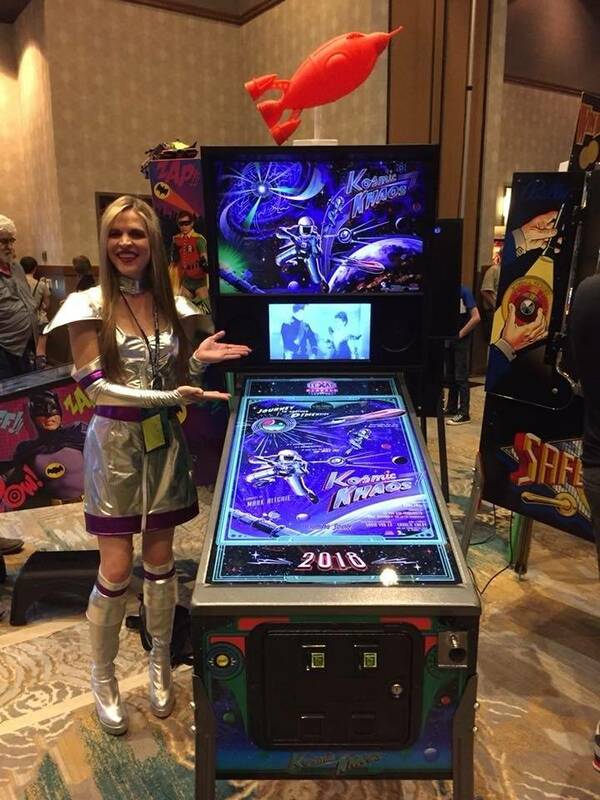 When will this pinball come ? If Deadpool and Deep Purple come i'm gonna have to sell more than a kidney ! A little Mother's Day gift for the best wife and Mom any kid could wish for. She even helped unload it. 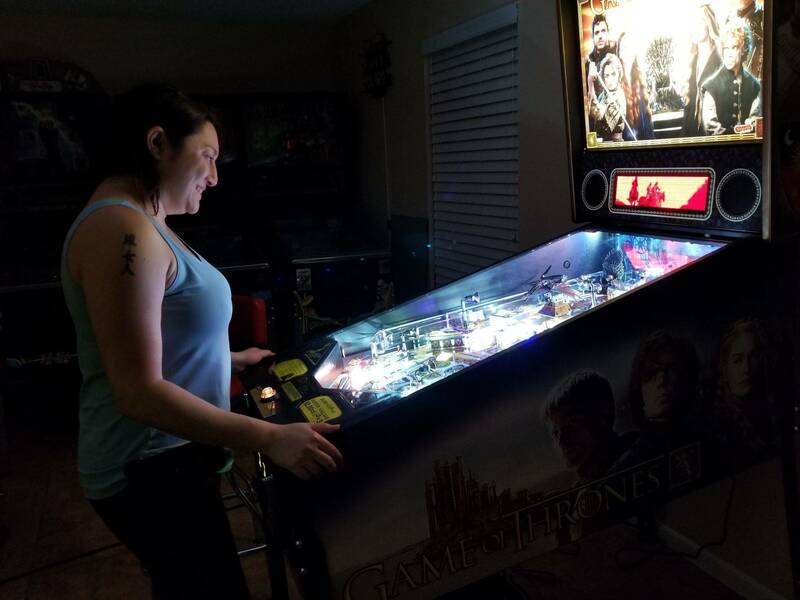 My wife plays but isnt a fanatic for it like me. 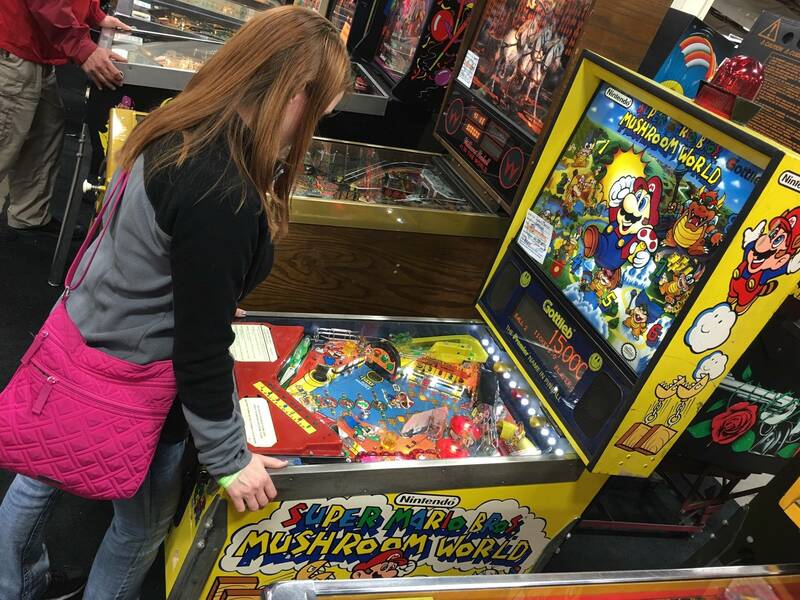 She enjoys playing and can get into a game but only certain titles/themes hold her interest. 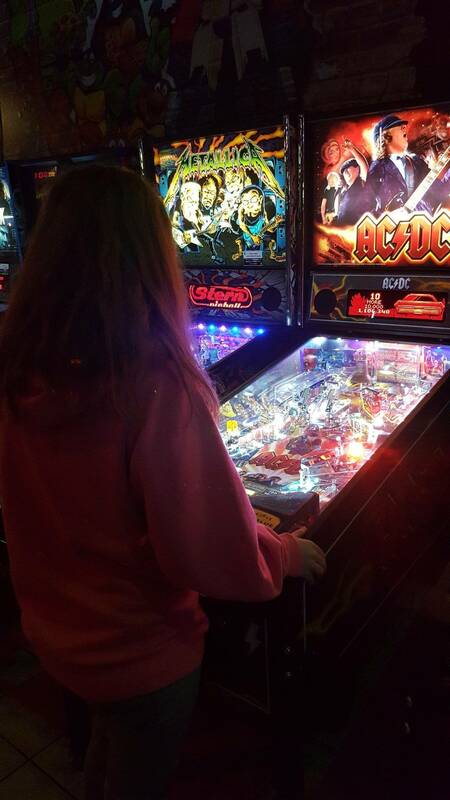 So when she finds a game she really likes it gives me an excuse to buy another pin. So far I have acquired Totan, Tron and soon WoZ all this way. No complaints. I'll have to sneak a photo of her playing; she doesnt even like me watching her play so I stay like three or four feet back most times. Holding my tongue when she makes a hard shot or has a real dissapointing drain. 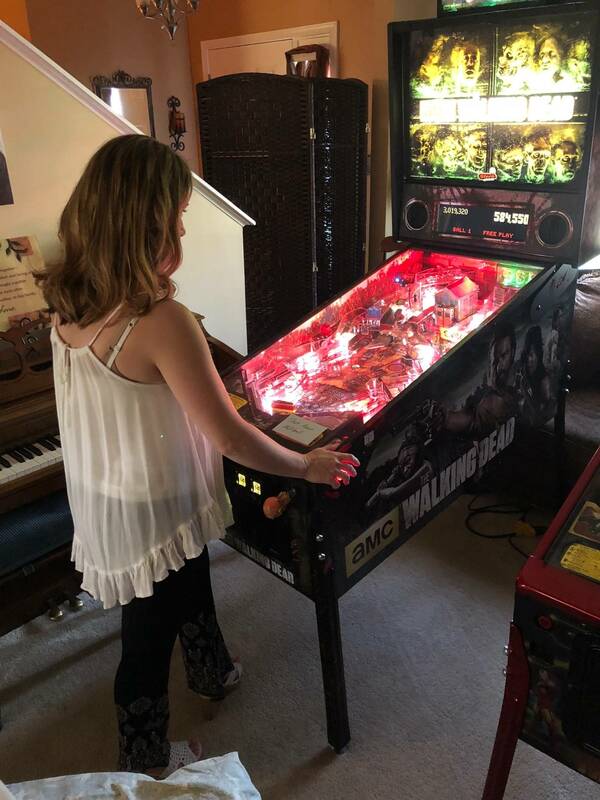 Went out to the garage to play JD and she followed me to play her precious. Snuck a pic while I had the opportunity... tee hee. Likes to play but has zero interest in learning the rules. That's how we do it in my house. I find it much more fun to discover the things to do. TWO THUMBS UP ! ! YES! 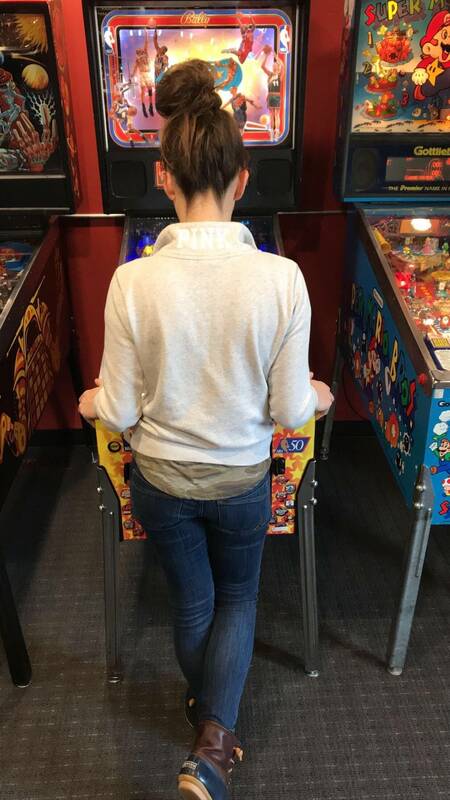 My girl plays too! 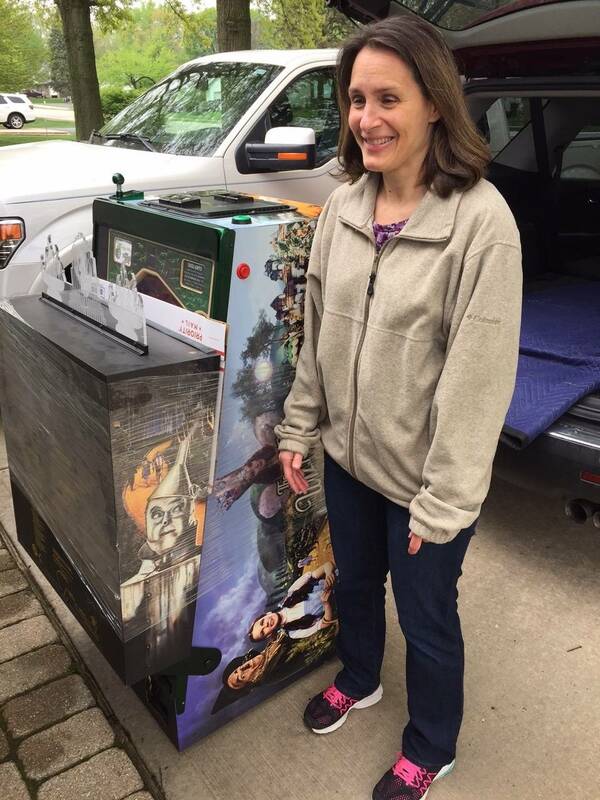 We jumped into this hobby together 3 years ago by making a 9 hour trip to an auction in NC to buy our first machine(Grand Lizard). 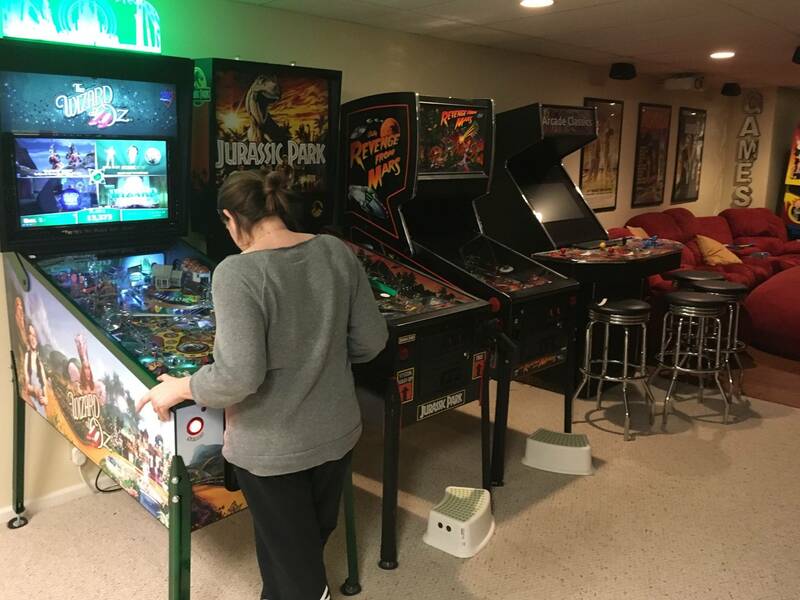 In three short years we have expanded our collection to 14 games, with 2 of those games in our kitchen because my fiancé requested it! 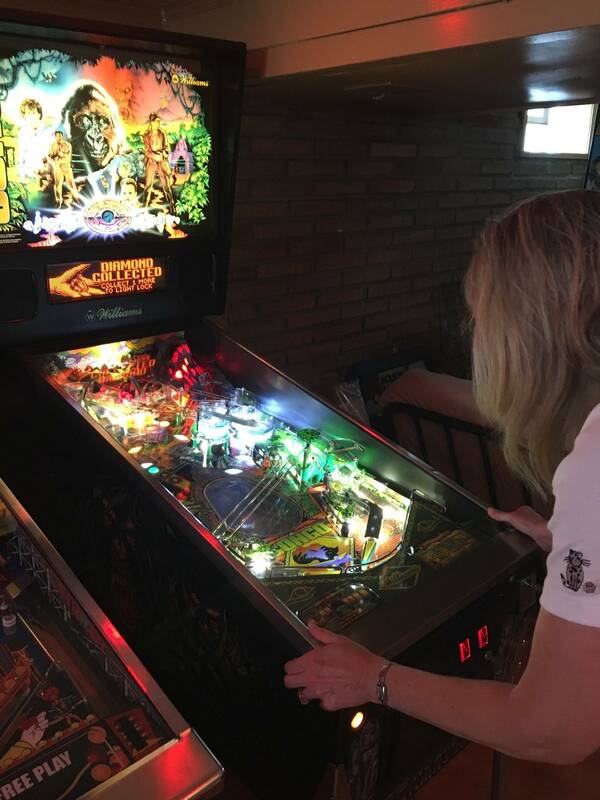 Highlights for her are in 2017 I threw an Aerosmith launch party at our house and gave her Aerosmith for her 40th birthday. 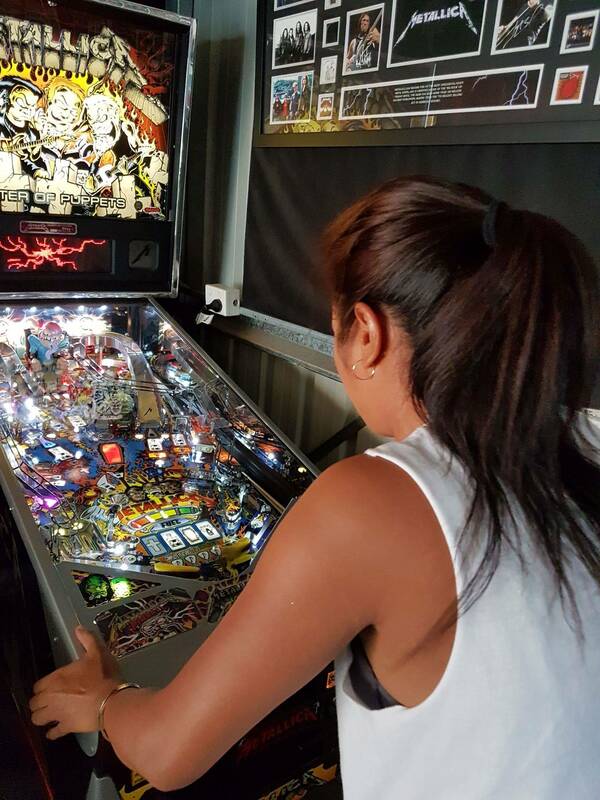 Her most recent highlight was a few weeks ago I landed one of her 2 grail pins, a great condition White Water which she absolutely loves. Grail #1 is Attack From Mars, one day. 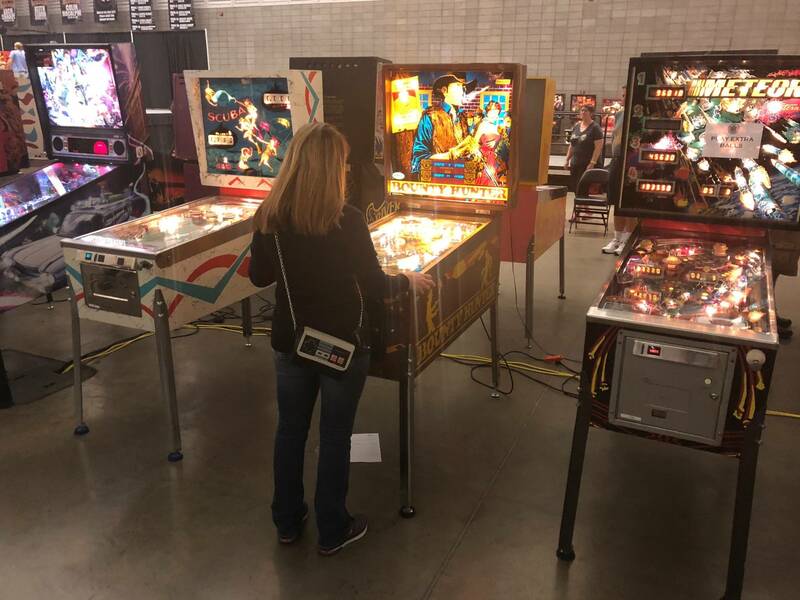 In 2016 we discovered the world of tournament pinball at Allentown, and we now have played in over 25 events including Pinburgh for the first time this year. 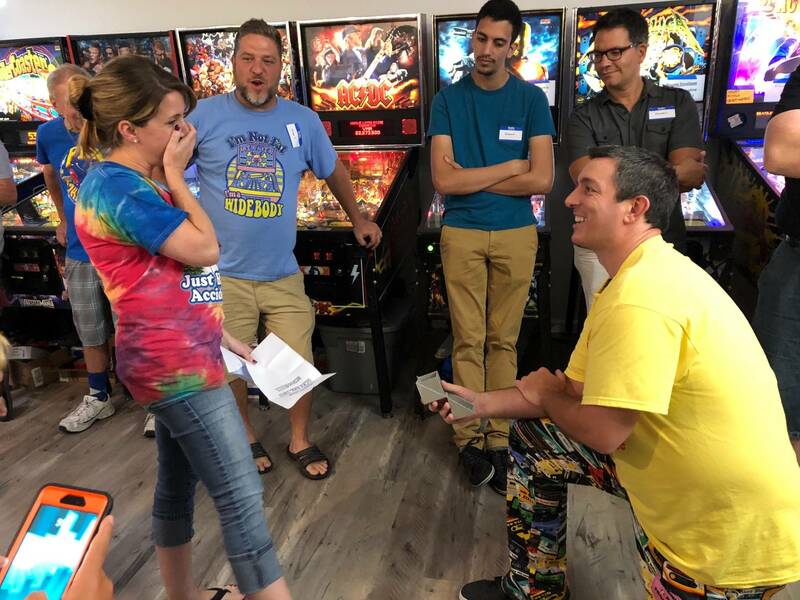 Finally, after being together for 5 years, I popped the question at one of the Delaware pinball tournaments I direct, she was blown away and completely caught off guard. 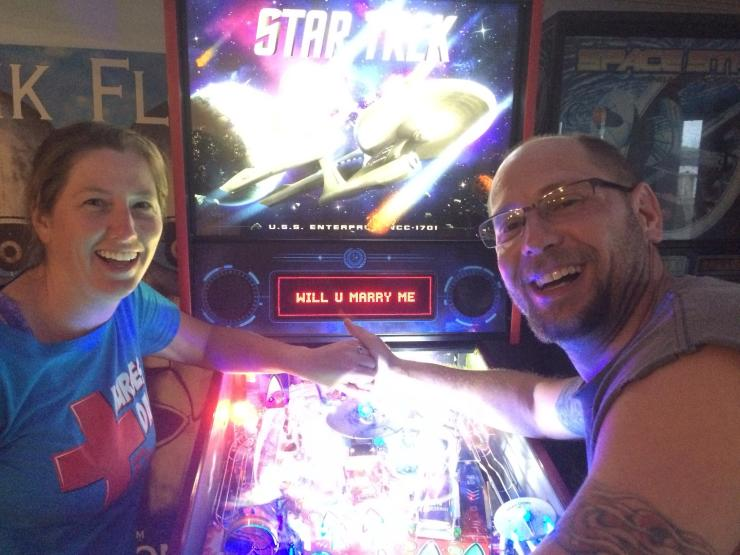 Pinball machines will be at our wedding. 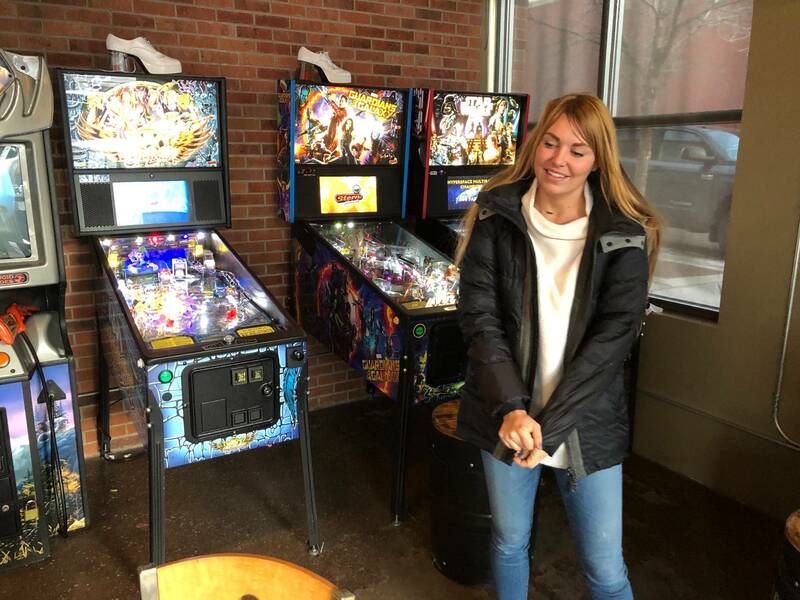 Rage tilt pinball sells them. Act fast, they are having a 25% holiday sale right now and when the stock is gone, they are done with that style. New styles coming in 2019! Their merchandise is so dope. 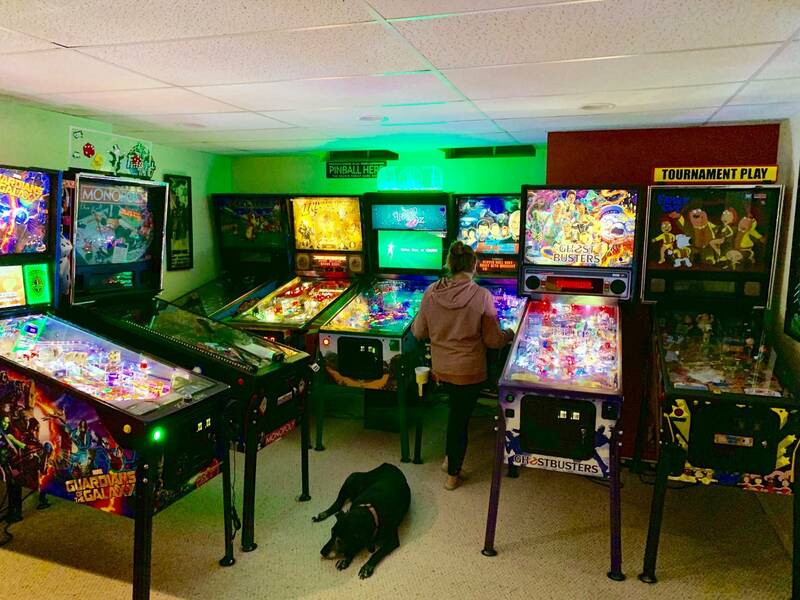 games On the main floor?! 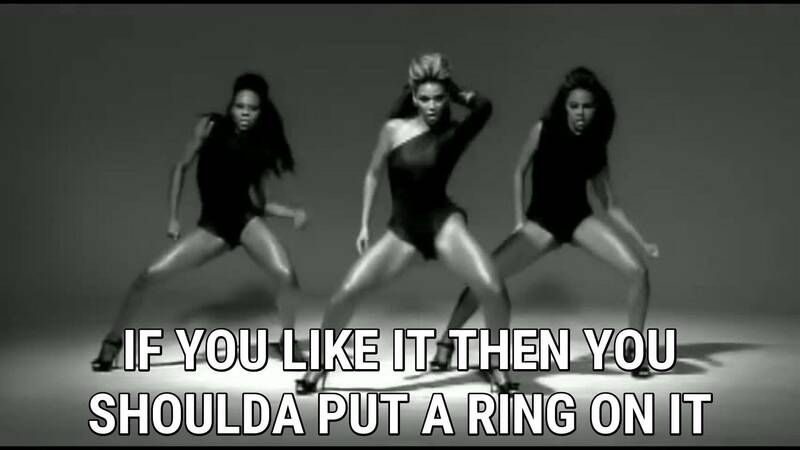 You better marry her quick! She’s a keeper! Congrats! 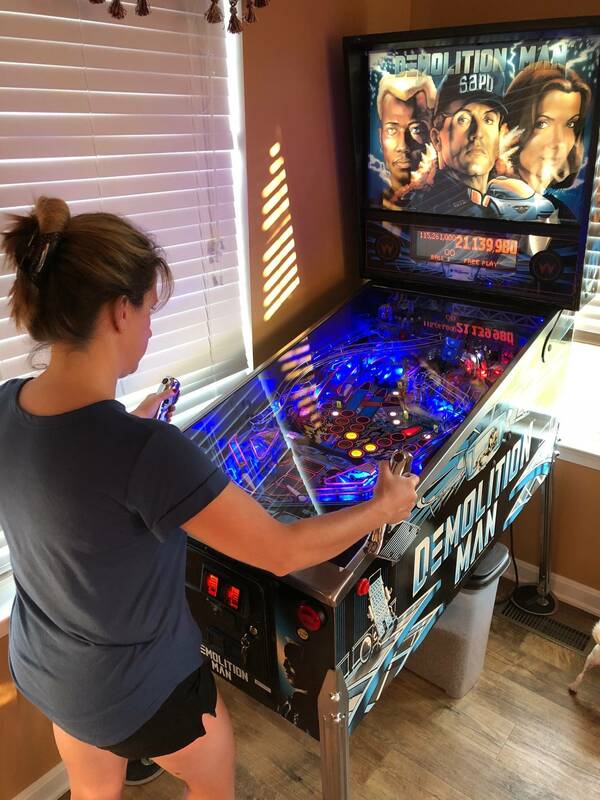 My wife has finally embraced this hobby and has her favorites. Ghostbusters and Monopoly are at the top of the list. 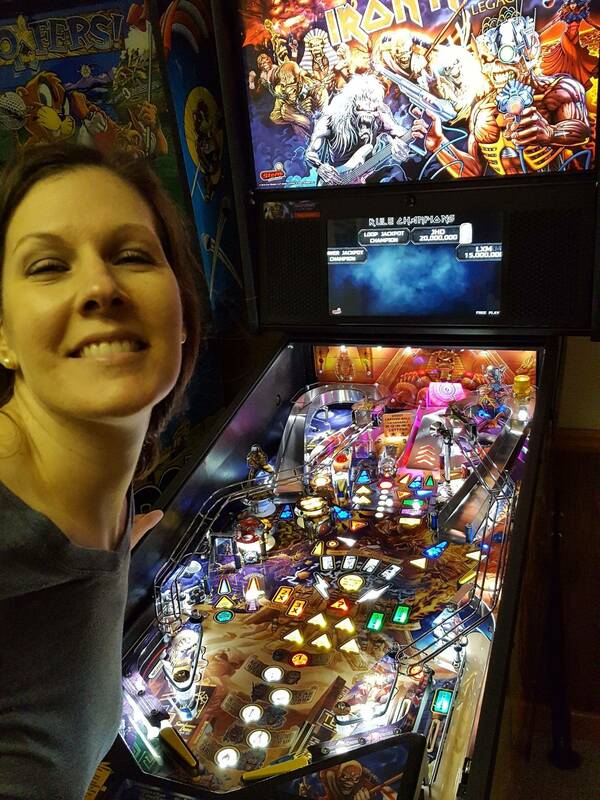 My wife plays pinball with me. 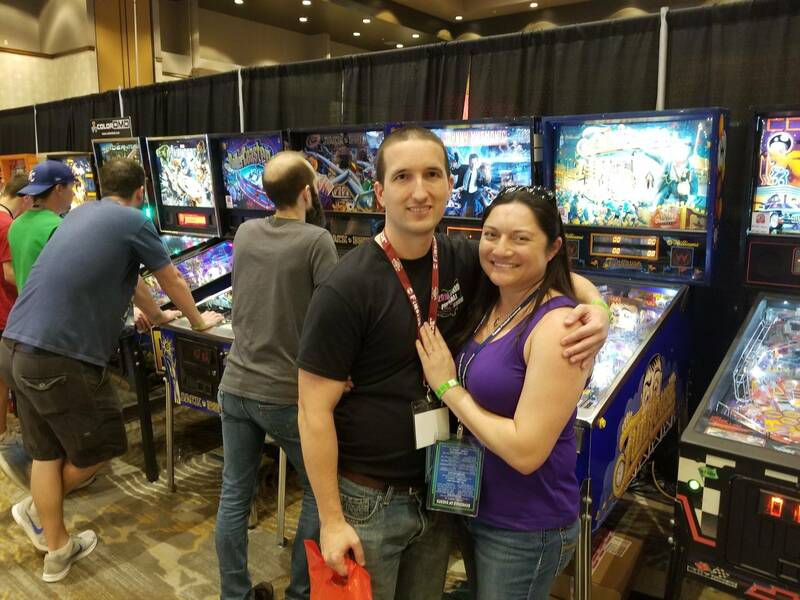 We went to the pinball hall of fame and NY, NY in Vegas this week. 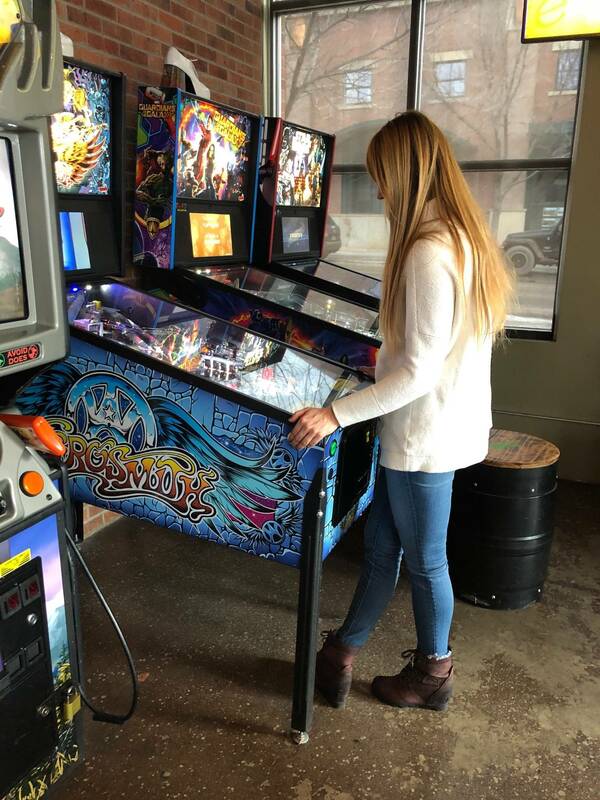 She did better at Pinball Circus than I did. Blew up Spider-Man. We had to leave a little early to make an appointment that evening and I think she was more perturbed than I was. 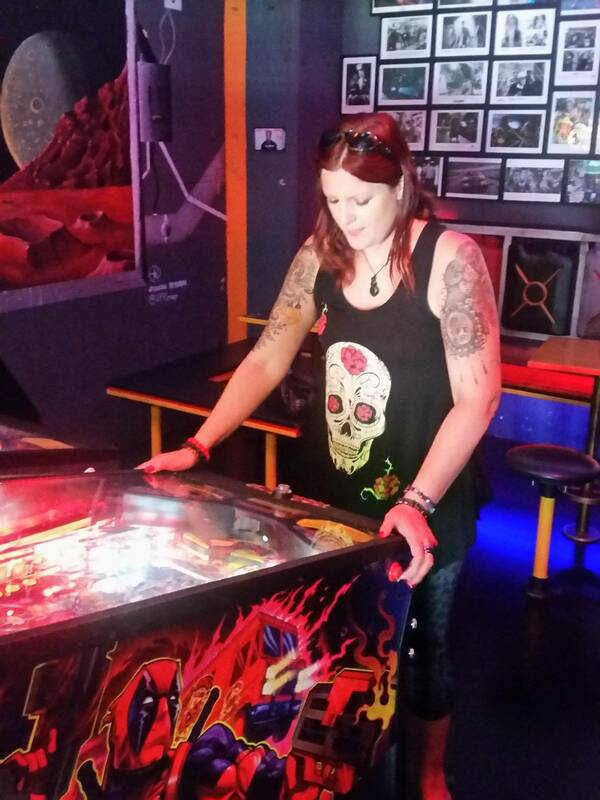 You can follow our pinball adventures on Instagram at ThePinballCreature. Yeah i know, i was just messing with you. You’re a lucky guy, she’s beautiful and seems very nice. 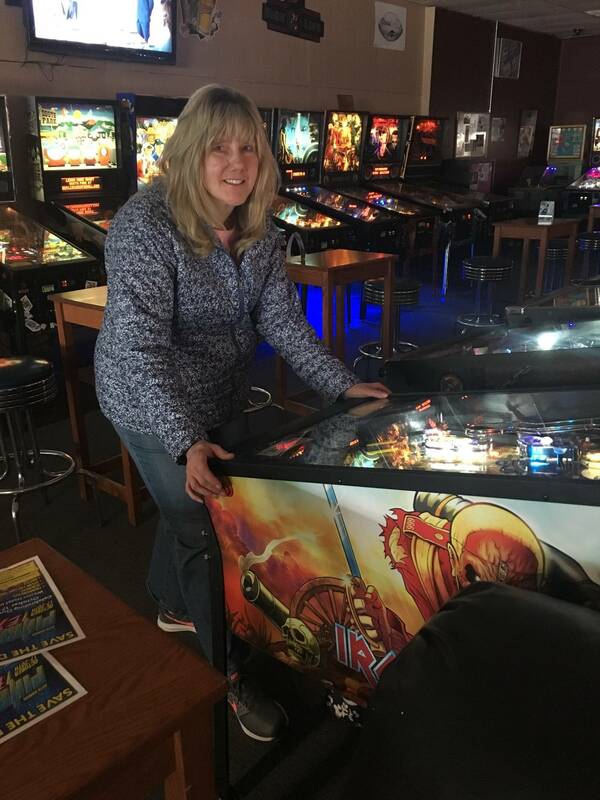 This is my wife and I right after winning a split flipper tourney at The Flipper Room in Concord, CA. 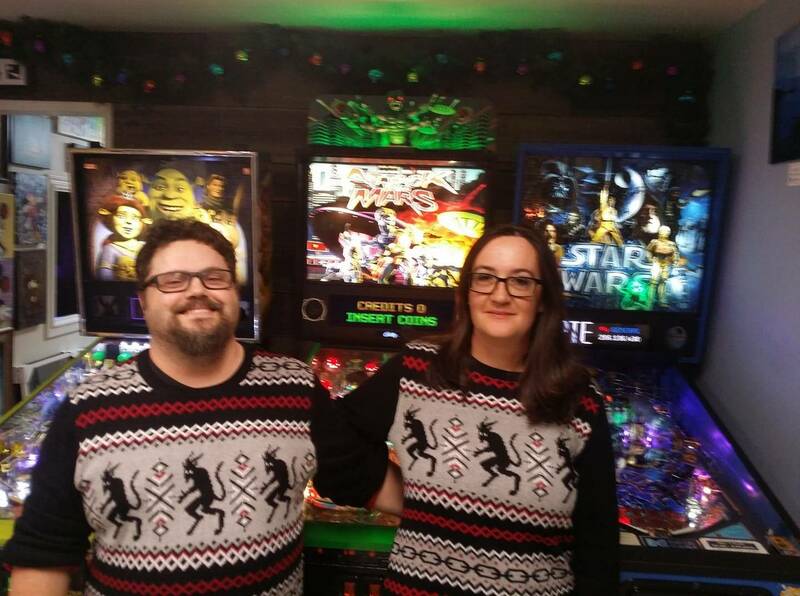 Love your satanic xmas sweaters! Shirts are nice. I ordered a Special When Lit. Thanks Mojosan! She’s pretty talented. She’s got a few designs up and will have more in the new year.